The Geek Market Wants You! This year, Stacey and the good folks at the Ottawa Geek Market have expanded into not only the usual, sci-fi and comic fare, but into horror as well. They're hoping to have a whole alley, including of course OH and our friends at Zombie info, but they need more folks as well. The Ottawa Geek Market is looking for vendors who sell horror-related merchandise for our event on October 19th and 20th at the Fieldhouse, Carleton University. Booths are $125 for an 8x6 space that comes with one 6 foot table, 2 chairs, and 2 exhibitor passes, and 1 weekend parking pass. 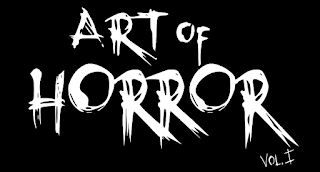 They will have a section of the event devoted to horror. If you sell art, books, clothing, movies, toys/collectibles, or games related to horror, this would be a great event to participate in! Our event targets the horror, sci-fi, fantasy, anime, steampunk, super hero, comic book and gaming markets. This year they are proud to be showing our support for the anti-bullying movement in Ottawa, and will be donating proceeds (to be divided equally) raised at the event to these three amazing charities: Kids Help Phone, Jer’s Vision and the Ottawa Distress Center. Last year they had over 2,000 at the event. This year, they are hoping to double that number. There will be plenty of advertising leading up to the event. For more information, please see http://geekmarket.ca/exhibitors/." So don't delay! If you're interested, please contact them, and if you know folks who might be interested in exhibiting, let them know.